Dreaming of white sandy beaches, swaying palms, gin-clear turquoise seas, and peaceful seclusion that only a private island can offer? Lobster Island Bahamas could be your dream come true. 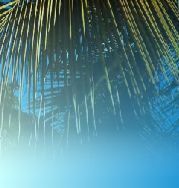 <?xml:namespace prefix = st1 ns = "urn:schemas-microsoft-com:office:smarttags" />Lobster Island Bahamas - Its location, beaches, docks : Lobster Island Bahamas is a fully developed and equipped 3.473 acre private island located in North Eleuthera Bahamas just 1.5 miles west of North Eleuthera and five miles south of Spanish Wells Bahamas. Lobster Island Bahamas offers lovely white sandy beaches and sheltered docks, which can easily accommodate several boats. Lobster Island is an ideal beautiful, secluded getaway, and yet, offers all the comforts of home. The accommodations at Lobster Island Bahamas include a four-bedroom / two-bathroom main house, which offers a large full stainless steel chef's kitchen and a second floor great room with floor-to-ceiling glass offering 360 degree views of the crystal-clear turquoise ocean and amazing sunrises and sunsets! 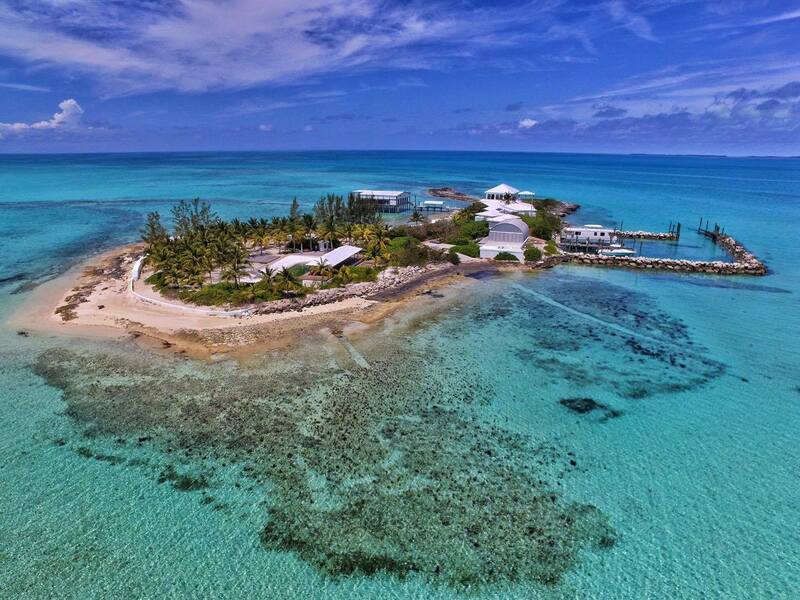 Lobster Island Bahamas, also, offers two one-bedroom guest cottages for extra guests, and the "Sea House", built over the sea, and offering 8,000 sq. 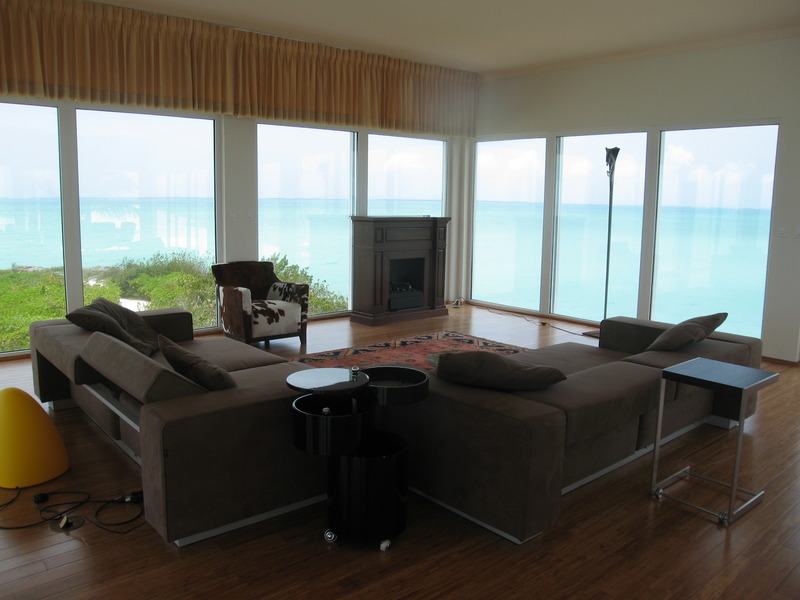 ft. of wide open living area with large walls of glass and picture perfect ocean views. The "Sea House" includes bathrooms, stainless kitchen, and plexiglass "windows" in the floor to view the fish swimming beneath. This wide open area is wonderful for entertaining. 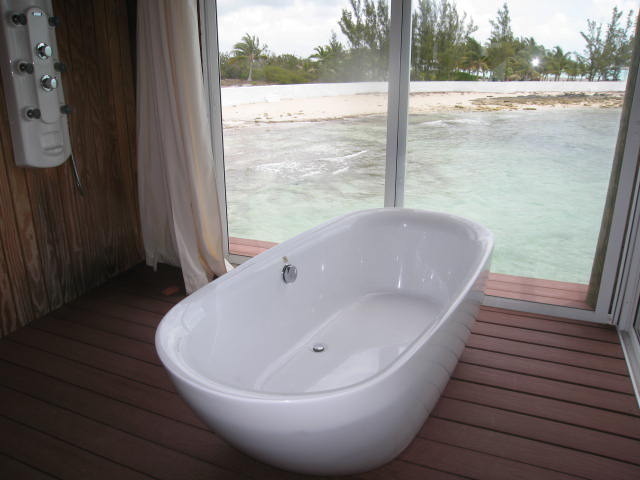 Lobster Island Bahamas offers full air-conditioning throughout. Lobster Island Pool Area: Lobster Island Bahamas includes a large beach pavilion overlooking the large saltwater pool/ aquarium on Lobster Island. Here one can swim with beautiful brightly-colored angelfish and parrot fish. 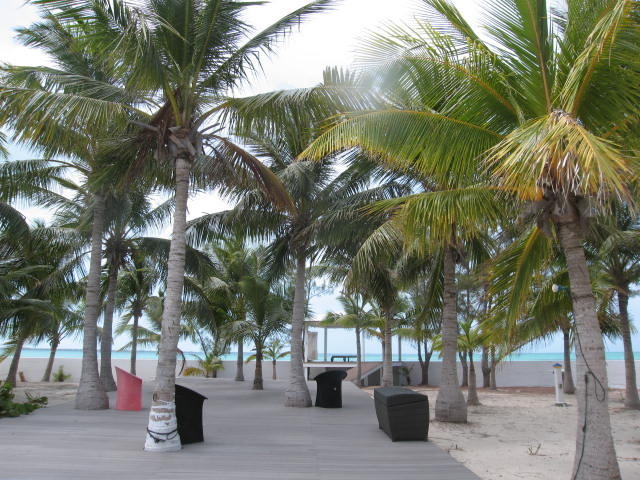 This area of Lobster Island includes many decks and an outdoor shower under swaying palms. A perfect place for a pool party with all of your friends. Lobster Island Bahamas Extras : Lobster Island Bahamas offers many extras including a fully-equipped cinema (no plain TV here! 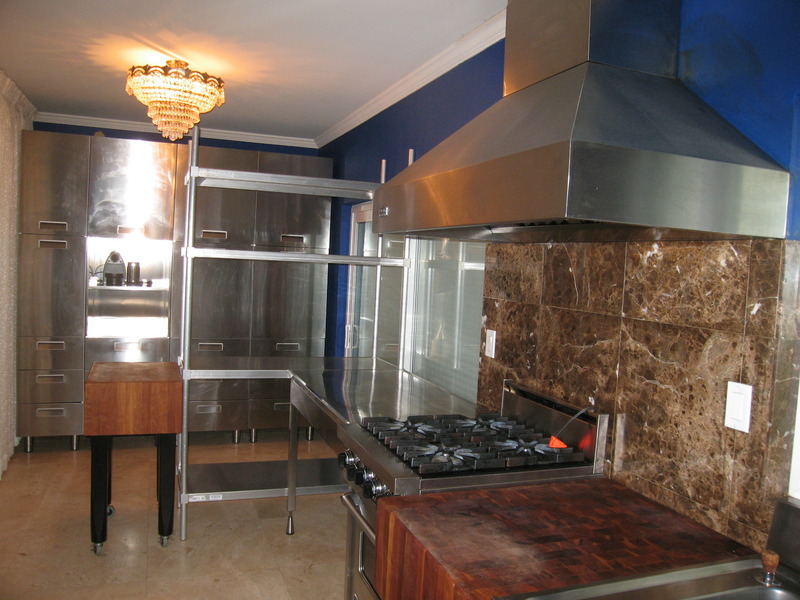 ), large wine cellars, and other buildings housing generator, laundry room, reverse osmosis unit, and more... 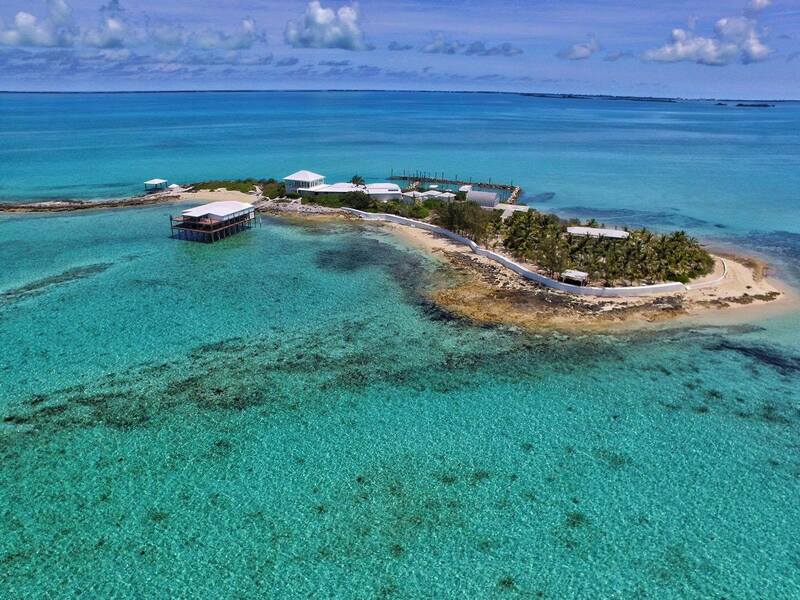 Lobster Island Bahamas even offers a helipad, a hangar, and a boat ramp! Just fly into this private island on your own helicopter or seaplane. Lobster Island Bahamas Electricity : Lobster Island Bahamas has installed city electricity from nearby North Eleuthera at great expense, and, also, a large Kohler 60 kW back up generator, which, in case of power failure, will switch on automatically to provide uninterrupted electricity for Lobster Island. Wifi is, also, available throughout Lobster Island Bahamas. Several direct daily commercial flights from Florida, Georgia, and Nassau, Bahamas into the nearby North Eleuthera Airport make visiting Lobster Island a breeze. Lobster Island Bahamas is located just a one-hour flight from Florida! There is also a jet center in nearby North Eleuthera Bahamas to accommodate those travelling by private jet, or just land your helicopter or seaplane on Lobster Island! Lobster Island Bahamas Area: Lobster Island Bahamas is conveniently located near Eleuthera, Spanish Wells, and Harbour Island. These nearby towns offer shopping, marinas, five-star restaurants, and much more. This area is very safe. The Bahamas was a British Colony, but it has been a stable independent nation since 1973. Lobster Island Bahamas rental management: We offer local property management, rental booking, and concierge services to our international clientele. Lobster Island or Lobster Cay? The correct legal name of this island is Lobster Island. 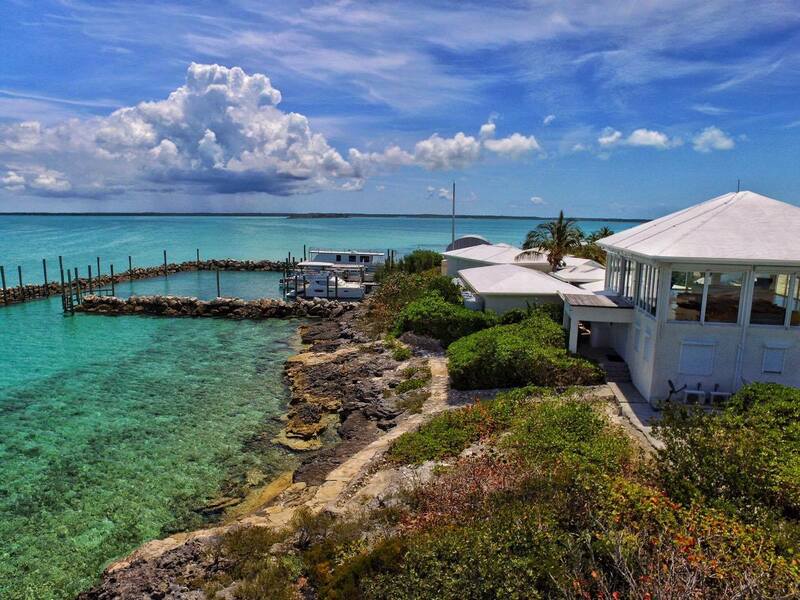 There is a Lobster Cay in Exuma, which should not be confused with Lobster Island in the North Eleuthera area. Main house : 4BR/2BA approx. 2600 sq. 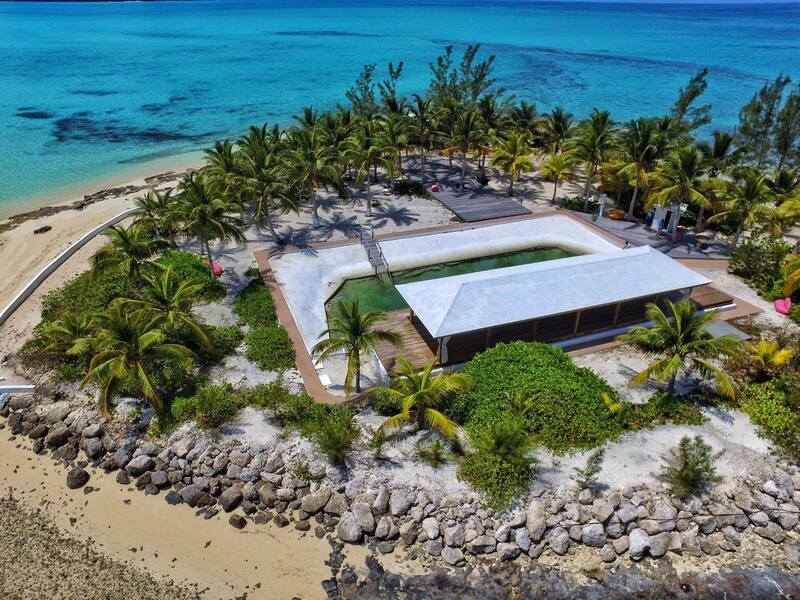 ft.
$2,350,000 price just reduced for Lobster Island Bahamas.